You first noticed your “yellow” teeth in a picture and now every time you look in the mirror that’s the first thing you notice. It’s gotten to the point where you hate smiling in public. The solution to a whiter brighter smile is of course Teeth Whitening. When you come to RnD Dental for your Teeth Whitening, you won’t stop smiling! Teeth whitening is a procedure that removes stains and discoloration from teeth. Whitening techniques will only work for staining caused by some medications if the discoloration is very mild. Teeth that are discolored because of medication or excessive fluoride are not good candidates for the whitening procedure. 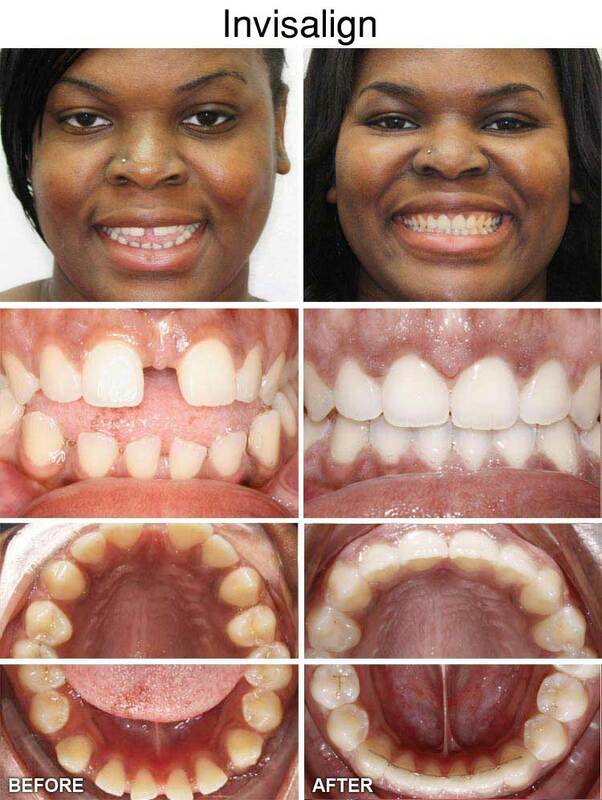 Veneers are the best solution for more severe discoloration cases. Once you reach our office, our dentist will let you know the best solution for you. We can change all this and give you a “Movie Star” smile within one hour. First, we check the teeth for cavities as the whitening gel can cause serious damage if it leaks into these areas. If cavities are found, they must be repaired before tooth whitening takes place. If there are no cavities, we will begin the whitening process. The process is quick, easy, and comfortable. Under the dentists’ supervision, our whitening treatments are completely safe and will not harm teeth or gums. We are delighted to offer our patients the latest in whitening procedures. The Zoom! In-Office Whitening System is a revolutionary tooth whitening procedure. It’s safe effective and very fast. 1First we will begin by removing the plaque that has built up along the gum line. 2Then, a protective covering will be placed over your gums to protect the soft tissue from the bleaching agent. 3Then, we will apply the whitening gel to your teeth. 4A light will be pointed at your teeth to activate the bleaching agent. 5The gel is a scientifically formulated, pH balanced Hydrogen Peroxide that, when activated by the Zoom! light, gently penetrates the teeth to remove deep stains and discoloration. With proper care and an occasional touch-up at home, your whiter smile will sparkle for years. In just under an hour, your teeth will be dramatically whiter. Zoom! Whitening is ideal for anyone looking for immediate results. The convenience of Zoom! in comparison to days of wearing trays and gradual whitening makes it the perfect choice for the busy patient. Other whitening systems don’t compare to the Zoom! Chairside Whitening System. Nothing whitens better or faster. Under the supervision of our dentist, our whitening treatments are completely safe and will not harm teeth or gums. Using our custom made trays and eight tubes of solution, our whitening system lasts a long time. This means you will experience very little whitening loss over time if you maintain good dental habits. 1First an impression of your teeth will be taken. It will be used as a mold to make custom whitening trays that look like a mouth guard. 2When the whitening trays are ready you will have another appointment to test if the trays fit properly to the teeth. 3Instructions will be provided on how to use the trays in conjunction with the whitening gel. 4The peroxide whitening gel is placed into the custom trays at home and worn for a certain amount of time each day (usually twice a day for 30 minutes to 2 hours for a 2 to 4 week period). 5The custom-made tray minimizes the bleaching gel’s contact with the gum tissue. The advantage of using dentist-supervised bleaching is that teeth can be properly assessed to have the correct chemical concentration, correct method and length of treatment and to be sure the patient is even suitable to have their teeth whitened. Contact us today to schedule a teeth whitening appointment. If you want to complete this procedure but need a little bit longer to make the appointment, we will gladly extend your offer until you are able to do so. Please complete the form below so we can be in touch with you and reserve this special offer for you. Dr. Stryapko made me feel comfortable right away. I had a toothache that was interfering with my life. Dr. Stryapko brought me relief after just one visit. Dr. Stryapko was incredibly responsive to the stress and pain I was experiencing. She listened to my needs and managed to bring me relief. I used to fear the dentist.but no more! Thanks! Dr. Itskovich not only relieved my pain, but my smile looks better than ever before. This has brought me much joy! Not only do your cleanings make my teeth feel better, but they promote good health. I have never felt better! Thanks! Since using your services, I get complimented on my smile often! Thank you so much! When I injured my tooth during a gardening accident, I thought I would never smile again. Thanks to Dr. Stryapko' patience and amazing technique, I am now a successful hat model. RnD Dental 4.9 out of 5 based on 176 Google, Yelp and Facebook Reviews.